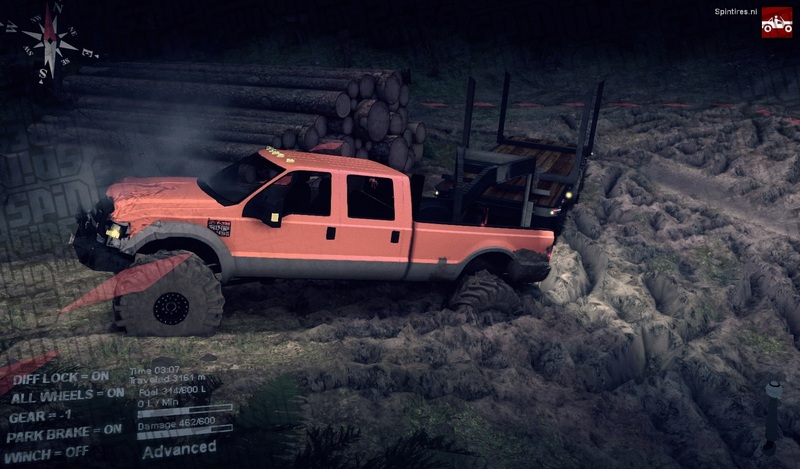 This is the might Ford F350 pickup truck. Brought to live in ST14 by BT and SID. Its a powerfull truck which brings you a choice in tires, exchaust (rear and two types of stacks) and two trailers. One logging trailer and one transporter trailer. Also 8 different paintjobs to suit your mood. good one.very nice looking truck. do you know how i can change the sound on the .xml with zil sound? Look at the zil xml and copy what you need over to the xml you to edit. i cant make it work im doing exactly as usual with other. but tis one make my zil disapears. and doesnt show anything. Clear cache. If the Zil dissapears its most likely because the truck xml is named zil.xml. Try renaming it ural.xml and clear cache and then use the Hill map to check if it wil work now. 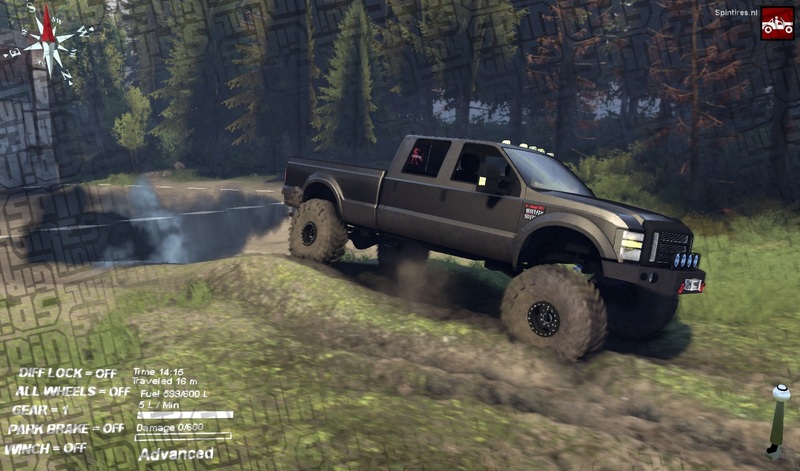 I have done everything that you explained in your tutorial video and the above statement on installing the f350 mod. nothing works. I either end up in the woods or water with no vehicle or I end up with other vehicles that came with the game but no wheels. can I please get some help? thanks. When uploading a mod into to the always remember to clear the cache. I do it all the time and never had any problems with the F350. How do you install a mod. Well ten i do not know. If i download this zip, extract it and then paste into the Media folder it works. I myself always rename the truck xml to ural.xml because i like the hills map a lot. Make sure to clear cache before starting ST after copying some new mod in the Media folder. Hello, I really enjoy the mod, thanks! I can not seem to find the correct place to change the paint color. I’ve pasted the correct file into all the texture folders of the 350 textures. Is anyone else experiencing this? Hopefully its a misunderstanding on my end. Clear cache after replacing texture files. In Windows go to the Run field (Start button). Enter %appdata%. Delete the Spin Tires folder. It worked once I downloaded the program for Oovee. How can I do screenshot the photo and show you the issue. 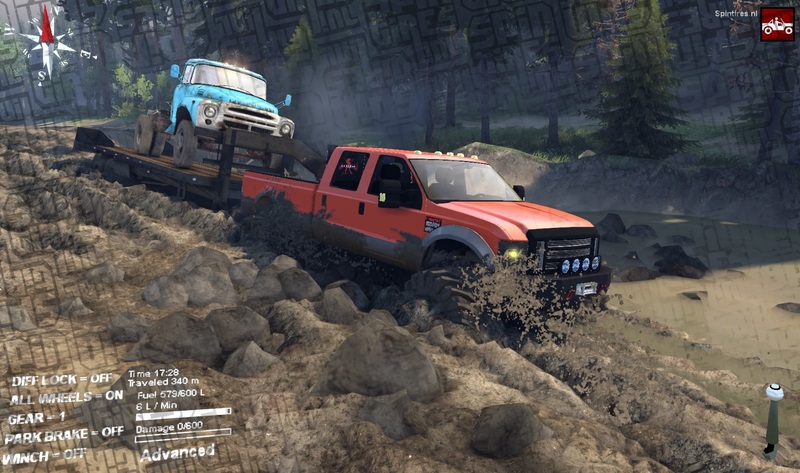 It is my first download the mod and it have black box at bottom of truck. What can I fix it? thanks..
Black box beneath trucks means it has not yet been updated. 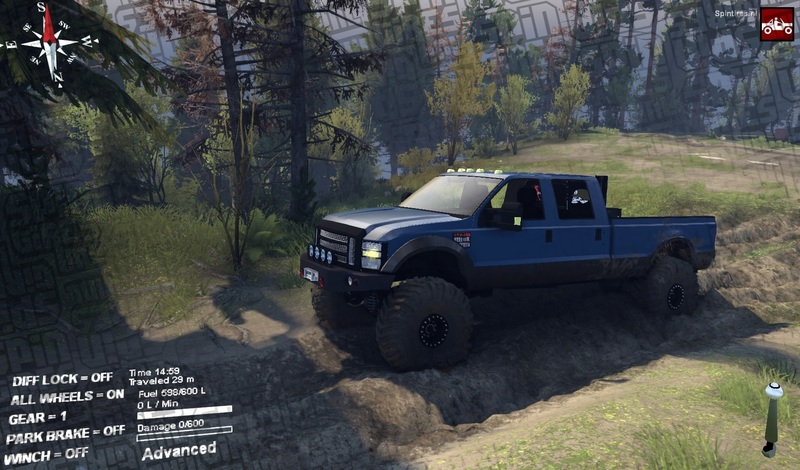 F-350 have not update? or my game need update. I am learn these things. I am not afraid to try fix it. Something new to learn :0). I will comment on “upgrading existing full game mods” Thanks.. It work! Thanks for awesome truck! it will be nice if it can have utility bed. Hi i answer you about “can we change the vehicule that the vehicule mod replace ? 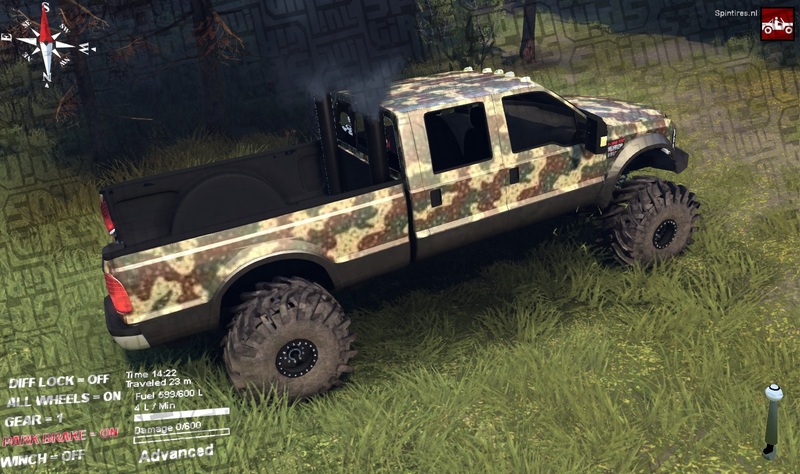 Can you make more attachments,and also, the log trailer wont hold logs. Otherwise, a very good mod.